Thomas Vallero “TJ” is new to the Archdiocese of Denver Mortuary joining our staff in 2012. However, he has been serving families in California and Colorado with compassion and professionalism for 30 years. A graduate of J. K. Mullen High School Class of 1977 and Cypress College, Mortuary Science Department in Cypress, California. He has held Funeral Directors, Embalmers and Pre-Need Licenses in California. Always attentive to his family, and in his spare time enjoys playing with his daughter as well as, woodcarving, woodworking, cooking, and golf. He has been a long-time member of Holy Trinity Parish, Westminster. TJ is a life time member of Academy of Professional Funeral Service Practice and has been a member of the California Funeral Directors Association, Orange County Funeral Directors Association, past 1 Vice President and Trustee, Orange Chamber of Commerce, Sons of Italy Renaissance Lodge 2259 Orange- Santa Ana, Past Treasurer and Trustee. 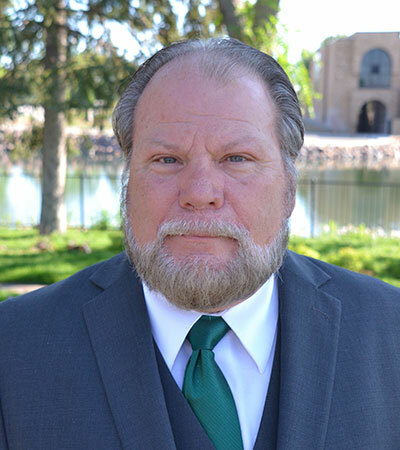 He has also been on the test board of Funeral National Board Certification and has consulted on a number of committees relating to embalming, funeral service, funeral pre-planning. TJ has also participated in many Middle and High School career fairs in Orange, Northglenn, and Denver.